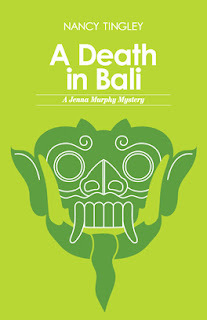 Nancy Tingley is the author of the new mystery novel A Death in Bali, the second in her Jenna Murphy series, which began with A Head in Cambodia. 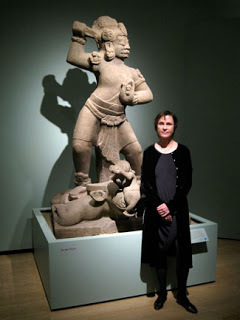 She is an art historian and consultant, and has written several books about Asian art. Q: Why did you choose Bali as the location for your second Jenna Murphy mystery? A: Nehru called Bali the “morning of the world,” an apt description, as anyone who has been there knows. What better place to set the second Jenna Murphy mystery? And, I will say, this magical island was actually my inspiration for writing the series. I was planning a trip to Bali and searching for some fiction that takes place in Indonesia, without as much success as one would expect given the million and a half tourists who go to Bali each year. That was my Eureka moment. I thought, I should write a mystery that takes place in Bali. No, better, I should write a series that takes place in Southeast Asia. Q: What was it like to write a sequel? Do you feel your character Jenna has changed from the first book to the second? A: Like many avid readers, I like a nice long novel, so reading/writing a sequel is even better. It means that I can write a character who slowly evolves. Jenna can be stubborn, so change does not come easily to her. Still, an early episode in her life left her nervous about commitment, and this second book addresses some of her confusion about what her relationship to her love interest in the first book should be. Q: Did you need to do much research to write this book, or were you familiar enough with Bali and its art from your work that you could just focus on the mystery plot? A: I find there's always a need to do more research. That's part of the fun! Bali has such a rich artistic tradition, and it is so different from the rest of Indonesia, with its majority Muslim population. My own interest has always been the ancient Hindu-Buddhist tradition of Java, and to a lesser extent, Bali. Note the word ancient. In A Death in Bali, Jenna is researching 1920s -30s Balinese painting, a far cry from ancient art. So, though I've been interested in these paintings, I did need to do research. I also visited Bali on two occasions recently and saw many dance performances. I also happened to arrive at the time of a particularly important cremation ceremony, which I incorporated into the book. Q: You said in our previous interview that you changed things around as you wrote the first mystery. What about this time? Did you know how things would work out from the start? A: I plotted the mystery from beginning to end, but as always, the characters seem intent on going off on tangents that sometimes alter the path. 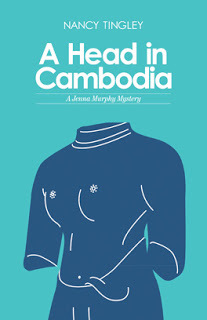 One thing I have found with both A Death in Bali and A Head in Cambodia (the first book in the series), is that the politics of Southeast Asia come into play more than I initially thought that they would. That has been enlightening to me. With this book, I wrote the ending after only writing a few chapters. I woke up one morning and there it was, much as it is in the published version. A: I'm presently revising the third book, which takes place in Paris and involves a stolen Monet and 19th-century photography from Southeast Asia. The importance of the 19th-century colonial period can't be underestimated in Paris - so much impressive architecture was built at that time - and the links are still strong with Viet Nam and Cambodia, so it seemed a likely venue for a Jenna Murphy mystery. A: In addition to writing the Jenna Murphy mystery series, I've been publishing flash fiction (see nancytingley.com) and working on a novel that takes place in 19th-century India. I'm busy! --Interview with Deborah Kalb. Here's a previous Q&A with Nancy Tingley.